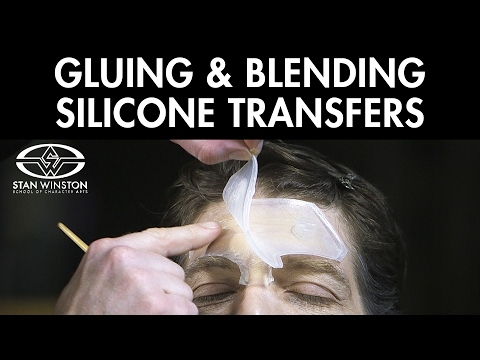 Learn to run, apply and finish a silicone prosthetic transfer age makeup with award-winning Makeup FX artist Neill Gorton (Doctor Who, The Wolfman, Saving Private Ryan). 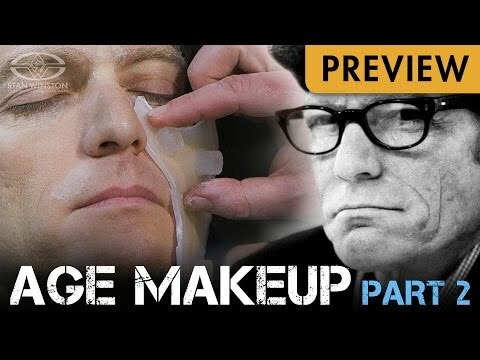 In PART TWO of his 2-Part webcourse series, Gorton takes you through the final steps for aging an actor using a convincing combination of silicone transfer appliances, stretch and stipple techniques, and subtle hair coloring. I can't remember if he said this in part one or not but i was wondering what would be more price efficient to make the mold out of if you were making a bunch of them? I just made my first flat mold and I feel like I used so much silicone I barely have any left to run the appliance. I love the silicone mold I just don't know if I could afford it all of the time. Thanks in advance for any tips! One option would be to use a urethane rubber for the mold. You would not want to use a tin-cure silicone for the actual prosthetic though. Stick with platinum silicones for that. For most of the materials above you are looking at an average price of around $25 for a 2lb kit. They don't start to drop much in cost until you are buying gallons. Hi. I want to make a set of fake silicone lips that will essentially cover my own. Can you give me any suggestions re the best way to attach them and to take them off. For that I would recommend using a silicone adhesive like Telesis 5. Though that adhesive may be harder to find as it has been discontinued. An alternative that most makeup artists I know (including myself) have switched over to is Mouldlife's "Snappy G" adhesive. As you are planning on working around the mouth, I would also suggest using some zinc powder on the skin to help keep things dry and adhering well. That said, any prosthetic that goes around the mouth will need some touchups and tending to throughout the day, and the person in the makeup will need to be cautious when eating and drinking. Try and pick up the Leds. If I have 8 leds and then 4 on and then off with the others turned on - I can plot the 8 positions and hopefully the shape of my mouth whilst speaking.